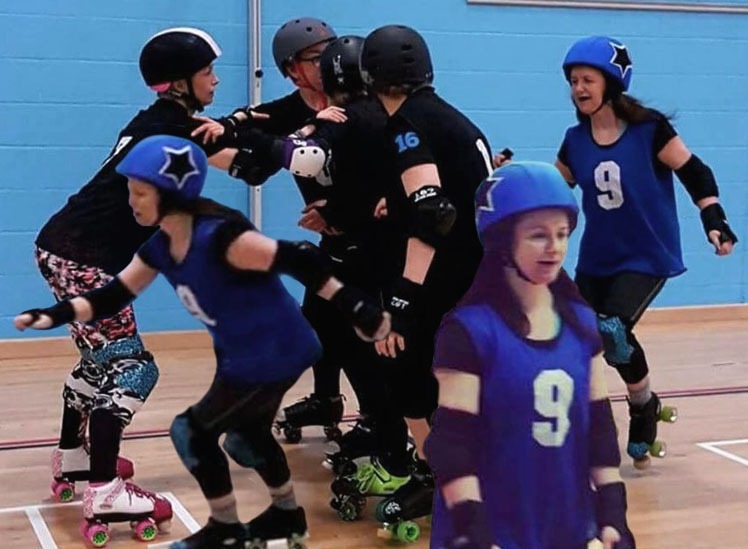 April showers bring May skaters, and we’ve had a busy year so far with a new batch of fresh skaters and our advanced Helgin members playing in the Inverness home game last month. 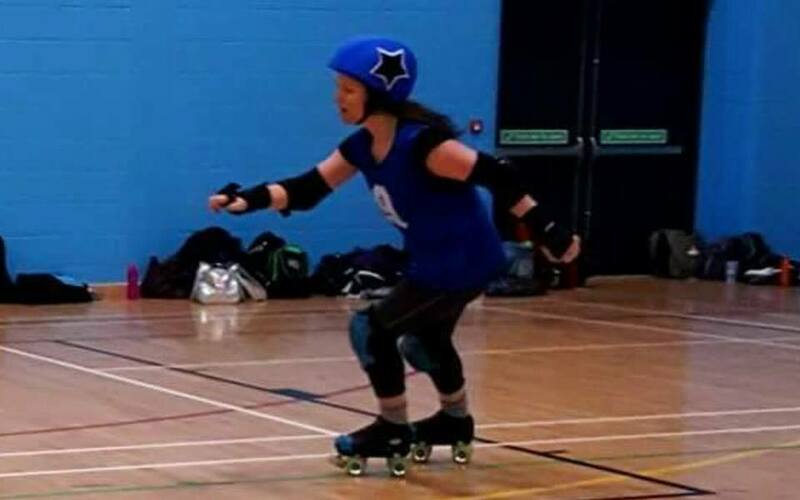 Now it’s time for another Helgin Roller Derby skater spotlight, and this month it’s the turn of amazing #74 Moulin Bruise! Boxset addict, while I wait patiently for the final series of Game of Thrones. Then and only then will there be time for fun (other than derby). My specialist skill on skates was getting 3 penalties in one go at my first scrim! Now that’s impressive! Off skates, I play a mean hand of poker. When TV only had 4 channels, or it might have only been 3 at that time (yeah, I know I’m old, I was really, really young honestly), roller derby (the banked version) was shown on TV and I was obsessed by the T-Birds. There was drama every week, and at times the jams resembled wrestling as there seemed to be less rules than there are now (health and safety gone mad), multi-player blocks that resembled a clothesline appeared to have been encouraged. But I also loved to skate, though never learned any skills other than moving forward and didn’t feel growing up and becoming a real life-sized adult there was the opportunity to keep it up. When I saw the flyer at my work for Freshmeat, I knew I had been called! Relax and enjoy it! We all learn at a different pace and in different ways. Keep coming back, practice and your hard work will pay off. Obviously, Scald Eagle defies the laws of physics! With the amazing skill and athletism of these skaters representing their countries as demonstrated at the recent World Cup, surely it can’t be long before it’s a recognised Olympic sport. If any sport represents the Olympic Values – Friendship, Respect and Excellence, surely it’s Roller Derby. Interesting people! We’re a diverse range of people with lots of different skills and experiences and we can support and learn from each other. The proudest (and worst photo taken ever) was finally nailing the 27/5. We all go through this torture for weeks and months, and each time I did it, I improved a tiny little bit. And each time I fell, I got up and skated on. It’s the bane of the minimum skills, which makes it the more sweeter when you break it…and you will.